This course is designed to enable students to explore effective processes and systems for managing performance at the individual, team and organization level. It will provide students with an understanding of the key role performance management plays in achieving corporate strategy and optimizing productivity. Within the scope of "managing performance" students will gain knowledge of how to measure and develop performance. Interactive opportunities will be provided to build skills needed to assist line managers in managing performance, including: establishing and communicating performance criteria; coaching for performance improvement; and conducting performance review discussions. 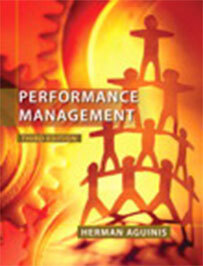 This course will also examine the relationship between performance management and other HRM functions. Justify the importance of performance management for both organization and employee success. Outline the typical cycle of performance management; including roles and responsibilities, as well as planning, reviewing and appraising practices. Differentiate the types of assessments used to evaluate individual and team performance. Demonstrate effective skill in developing performance criteria/plans, conducting performance discussions and evaluating reviewing performance. Coach and/or advise line managers on how to effectively manage performance from planning, ongoing reviews and assessment. Coach and/or advise employees on how to develop a performance plan, including clearly defined and aligned objectives and measures. Illustrate the relationship between pay and performance and identify appropriate methods of performance. Critique and recommend improvements to an organization's performance management system and process. Interested in being notified about future offerings of HRMG 4155 - Performance Management? If so, fill out the information below and we'll notify you by email when courses for each new term are displayed here.